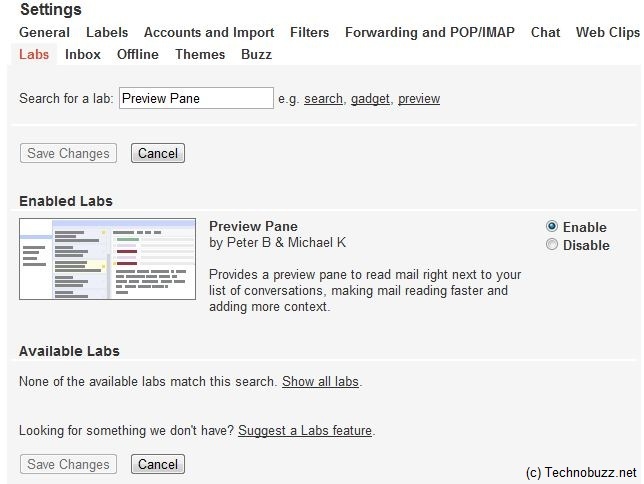 Today Google Labs announced a new Preview Pane feature for Gmail. 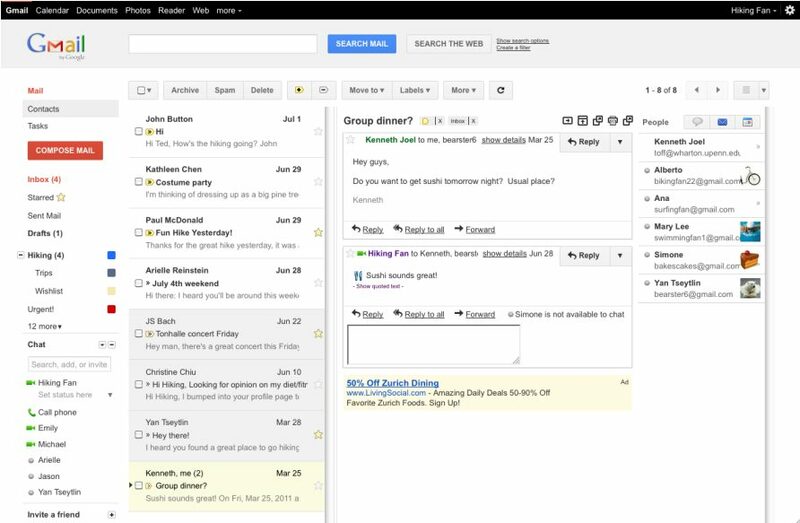 Now you can see Gmail inbox in a widesceen-style view similar to Microsoft Outlook and Apple Gmail app. This new Preview Pane feature, allowing you to view and reply to e-mails while navigating your inbox. The feature is also available to Google Apps users. 1. Login to Your Gmail Account, and go to Mail Settings (upper right). 2. Now go to the Lab Tab and type Preview Pane in Search Box and Hit Enter. Now you can see the Preview Pane Box on your Screen, Check the Enable option next to the box and Save changes. 3. Now you can see a toggle button in the top right corner of your message list, which lets you switch between preview and list views.